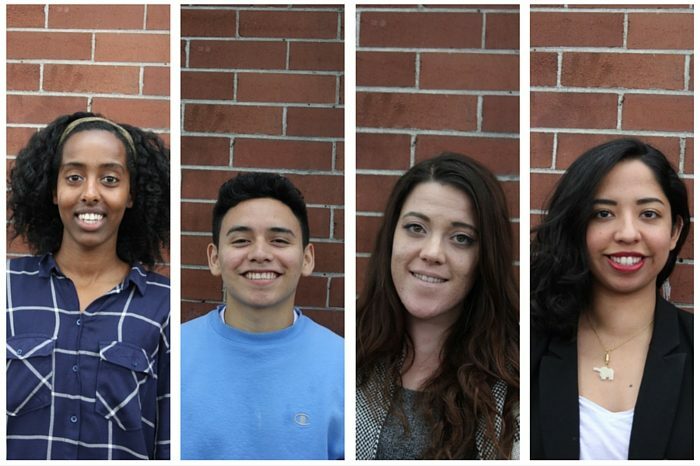 Here at The Seattle Globalist, we are excited and proud to introduce you to our 2016 Apprentices. Our youth apprentices have been working with us since April, receiving media training and working on Globalist stories. They are currently working on our “Seattle’s Smartest Global Women” series, and will continue to work on in-depth reporting projects throughout the summer. Damme Getachew is an aspiring global storyteller. She loves words, art, film and people. A Seattle native with global roots, Damme desires to live life uncomfortably as she fights for what she loves and connects with those who challenge her perspectives. A 2016 Global Development grad from Seattle Pacific University, she’s excited to continue living out her passion for social justice, human rights and youth identity formation. Jose Mariscal-Cruz is an aspiring entrepreneur and investigative journalist studying software engineering and political science at the University of Washington Bothell. He has a strong interest in U.S foreign policy in Latin America and national security reporting. He is currently a contributor at his school’s newspaper, the Husky Herald, and works in Student Engagement & Activities as a Social Justice Organizer where he programs events that raise dialogue about local and global social issues. Olivia Sundstrom is a graduating journalism and political science student at Seattle University, interested in working in multimedia journalism, documentary film, and media production. Raised in Southern California, Olivia is currently living in Seattle as a full time student seeking professional experience in the industry and the opportunity to share incredible stories. In her spare time Olivia enjoys binge watching documentaries, exploring beautiful pacific northwest landscapes, and building and strengthening new and longtime friendships. Born in Mexico but raised in rural Washington, Esmy Jimenez is a formerly undocumented mestiza scholar, organizer, and now journalist. After graduating from USC in Los Angeles, she moved to Seattle where she is currently an apprentice for the Seattle Globalist and on the staff at Puentes: Advocacy, Counseling, Education. Her work has appeared in AdSum, The Interloper, and Femme Feminism. When she’s not running around, you can usually find her talking about eating or eating while talking.